We are pleased to announce the establishment of a new award program sponsored by Dentsply Sirona Orthodontics as part of the GCARE initiative, the GAC Clinical Alliance for Research and Education. The award is designed to promote and recognize excellence in clinical or translational research completed by orthodontic residents during the 2016/2017 year. Award winner will be recognized in June 2017 at the XIV EPSOS meeting in Montreux, Switzerland. During the XIV EPSOS Meeting the new EPSOS Vice-President (2018-2020) and the new EPSOS Secretary (2018-2020) will be elected. 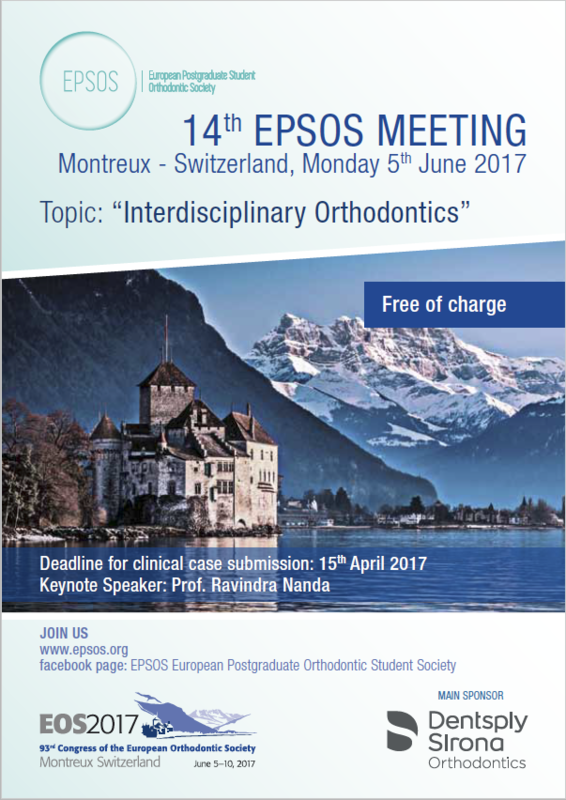 Fill in the Participation Form to join the XIV EPSOS Meeting in Montreux!